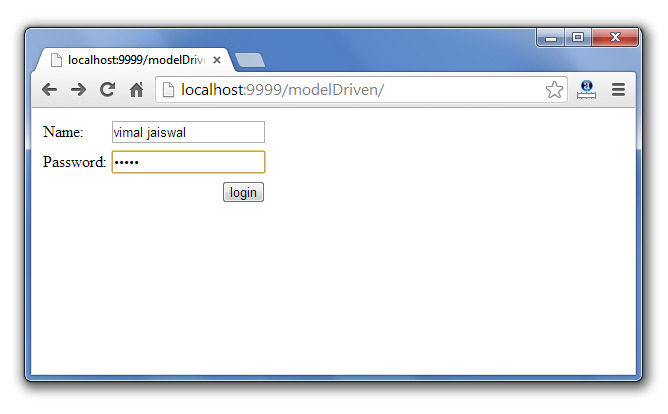 The modelDriven interceptor makes other model object as the default object of valuestack. Bydefault, action object is the default object of valuestack. To use the modelDriven interceptor, you need to implement ModelDriven interface in your action class and override its method getModel(). There is no parameter defined for modelDriven interceptor. Let's see the full example of modelDriven interceptor. If you don't implement the ModelDriven interface, you need to use user.name and user.password field names in index.jsp file otherwise given value will not be set.